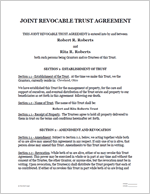 Protect and distribute family assets with a Revocable Living Trust! For years, financial planners and attorneys have used Trusts to pass property from one generation to the next without facing the uncertainty of probate. A Revocable Living Trust is more comprehensive than a Will, providing a safe and legal way to manage your assets while alive, then distribute those assets exactly as desired upon death. 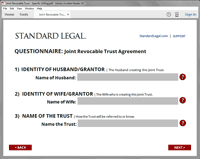 Standard Legal's easy-to-use software includes the documents and instructions necessary to create a Joint Trust or Single Trust based on marital status, whether you have children or not, your state of residence, and how/when/to whom you wish to distribute your assets. A Living Trust allows you to legally decide two important issues regarding your wealth: how you want your assets and property managed while you are alive; and how you want your assets and property distributed after your death. A Living Trust can provide for the distribution of property upon your death, just like a Will. But a Living Trust is more effective in many ways. A Will only takes effect upon death, while a Revocable Living Trust provides the same ability to determine asset distribution upon death. Plus a Trust provides a tool for protecting and managing property and assets during your lifetime! A Living Trust empowers a designated Trustee to manage the Trust's assets and property for the benefit of you and your family. The Trustee can be anyone you choose -- including yourself! The asset management in a Living Trust covers any number of financial or property-based transactions: making one-time or recurring cash payments to a beneficiary; transferring assets upon a designated date; making financial moves under a specific set of circumstances; etc. Further, should you become physically or mentally incapacitated, a Living Trust is critical: it allows you to designate in advance how you want your estate handled without any direct court intervention or supervision. You stay in control of your assets by making decisions and outlining them within the Trust before any issue arises! The Probate Court is kept out of the management of your estate. Upon your death, the successor Trustee that you appoint within the Living Trust will act much like the executor of a Will. The Trustee will gather your assets, will pay any valid debts, claims and taxes, and will distribute your property and assets as you have clearly directed. More importantly, the structure of a Living Trust means the assets are owned by the Trust and are not part of the deceased person's estate. That means there is usually no need for a Probate Court's approval before the transfer. As such, the often time-consuming and costly probate process can be avoided! 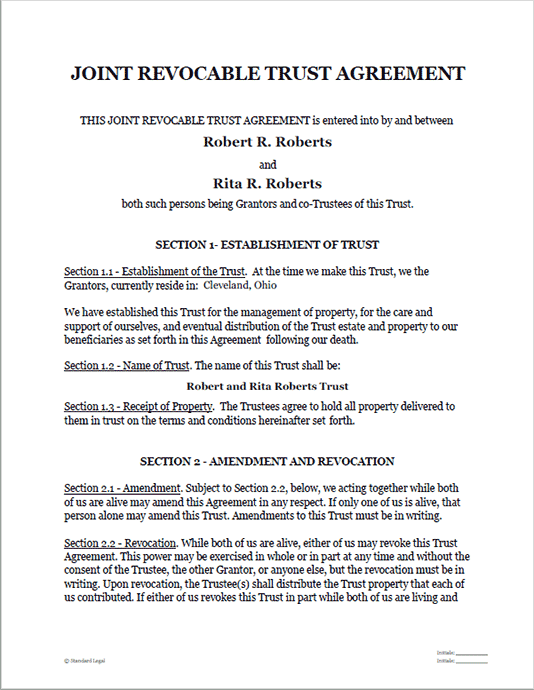 Joint Revocable Trust - Property to Children: Joint Trusts tend to be easier to manage when both spouses are alive, as compared to separate Trusts for each spouse. 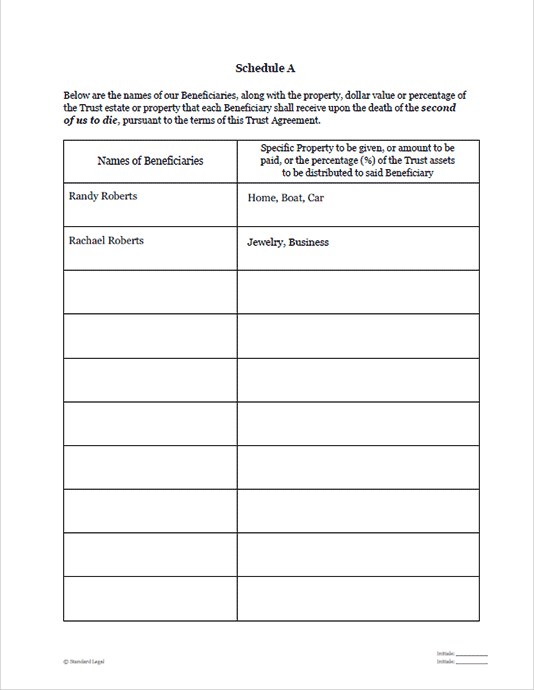 The couple’s assets are simply transferred to the one Joint Trust, and the couple will continue to manage the assets essentially as they did prior to setting up the Trust. 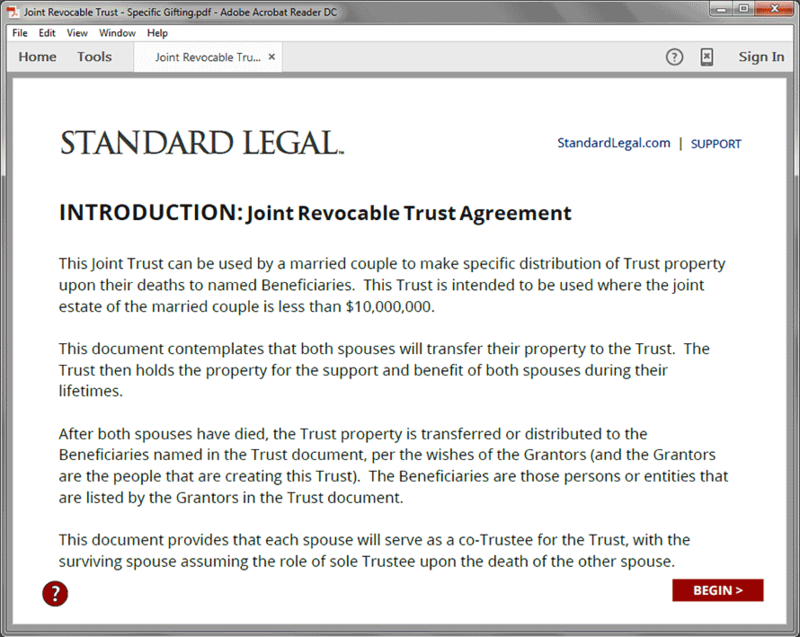 This particular Trust can be used by married couples whose property value does not exceed $10,900,000 in total, who want to provide income to themselves while both alive, then provide income to the surviving spouse, and then to transfer property to their children after the death of the second spouse. If the value of the spouses’ property exceeds the amount set forth above, they may wish to consider more advanced estate planning take advantage of certain tax exemptions that exist. In those situations where the value of the joint estate does not exceed $10,900,000, there are usually no significant federal estate tax issues to be addressed through the use of a Trust, as the property will generally pass under the marital tax credit. Joint Revocable Trust - Specific Gifting: Designed for married couples who may or may not have children and whose property value does not exceed $10,900,000 in total. This Trust allows the Grantor spouses to specifically name the Beneficiaries who will receive the Trust property after the death of the second spouse to die. This particular Trust format works well for those spouses who do not have children or for those spouses that have children but who do not wish to leave any or all of their property to their children. Additionally, Grantors with children can choose to exclude any or all of their children from the Beneficiary list, can leave only a part or portion of the Trust estate to their children, or could name children and non-children alike as beneficiaries. Like the other Trusts offered, while the Grantors are alive they can receive income from the Trust and have access to the assets of the Trust. After the second Grantor dies, the income and/or property from the Trust is paid to the Beneficiaries named in the Trust. Married Individual Revocable Trust - Property to Children: Similar to the Joint Revocable Trust - Property to Children in that this Trust can be used by a married individual whose property value (along with the property value of his or her spouse’s assets) does not exceed $10,900,000, who wants to provide income to him or herself along with his or her spouse while both are alive, and then to transfer property to their children after the death of the second spouse. 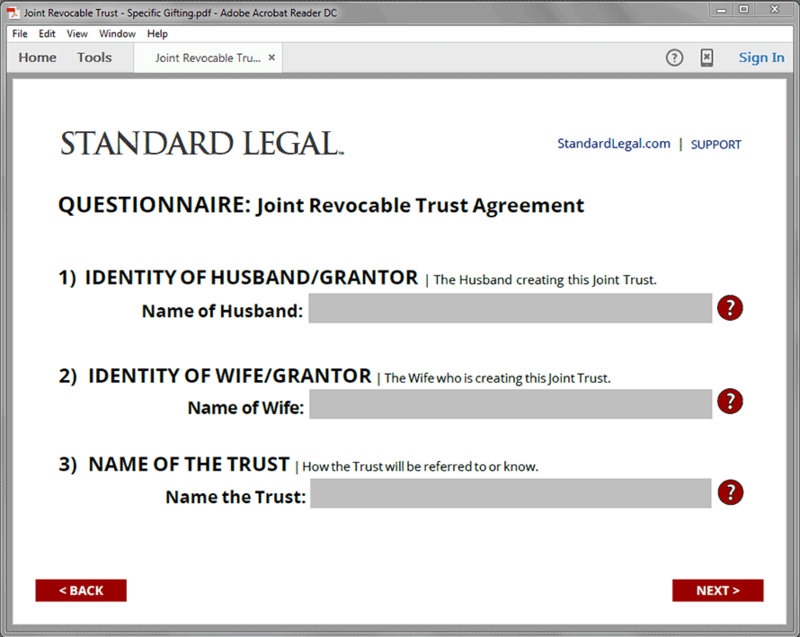 Where this Trust differs is that only one spouse is the Grantor in this Trust. 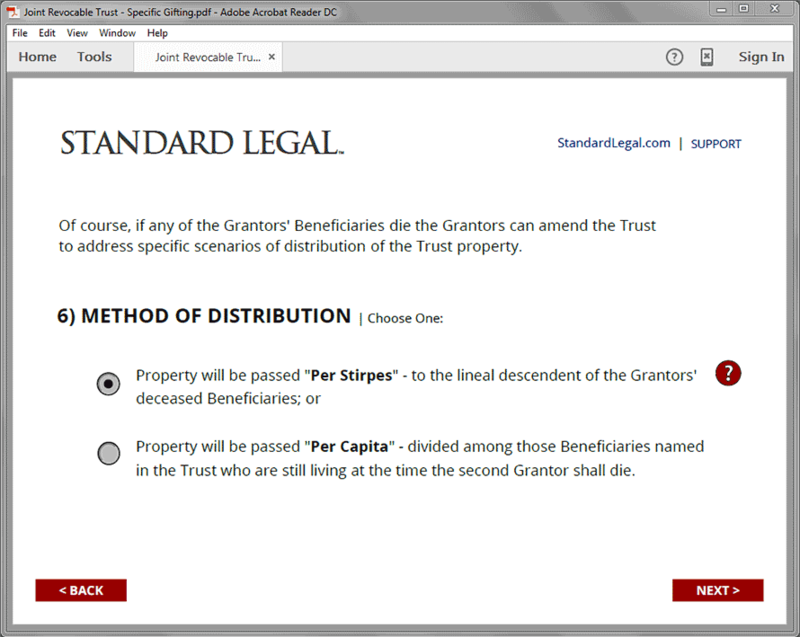 This Trust holds the Grantor’s Trust property separately from the Grantor’s spouse or the Grantor’s spouse’s Trust. 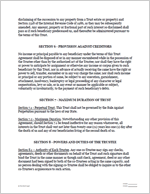 See the discussion within the overview documents for reasons to create a separate Trust. Not Married Individual Revocable Trust - Property to Children: This Trust is designed for use by a single (i.e. not married) individual with children whose property value (in total) is worth less than $5,450,000. This Trust allows income to be paid to the Grantor during his or her lifetime, and then the Trust property is transferred to his or her children after his or her death so as to avoid probate issues. 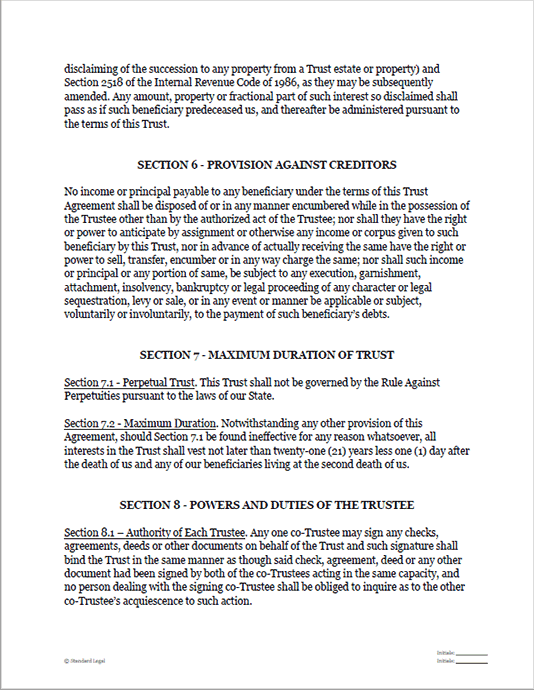 The Grantor will act as the initial Trustee of the Trust and the Grantor will name a Successor Trustee to assume that role should the Grantor become incapacitated. Not Married Individual Revocable Trust - Specific Gifting: Similar to the Joint Revocable Trust with Specific Gifting, but this Trust is designed for use by a single (i.e. not married) individual with or without children whose property value (in total) is worth less than $5,450,000. This Trust allows the Grantor to specifically name the beneficiaries who will receive the Trust property after his or her death. 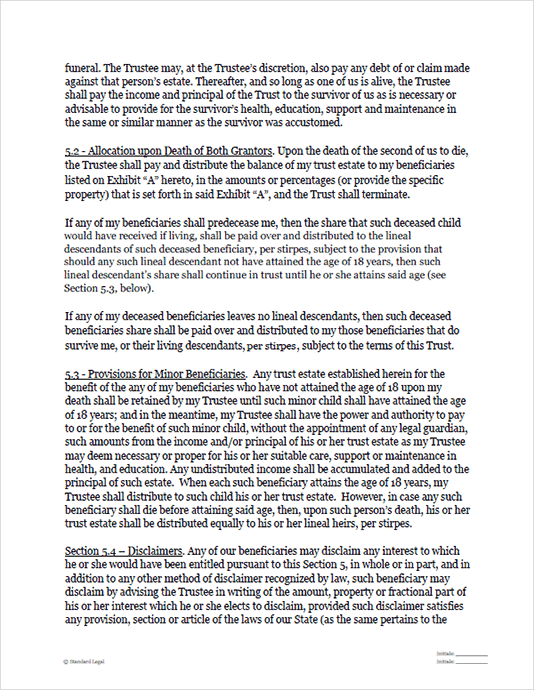 This particular Trust format works well for those who do not have children or for those that have children but do not wish to leave any or all of his or her property to the children – and with this format, the Grantor with children can choose to exclude any or all of his or her children from the beneficiary list, can leave only a part or portion of his or her Trust estate to his or her children, or could name children and non-children alike as beneficiaries. Like the other Trusts offered, while alive the Grantor will receive income from the Trust and have access to the assets of the Trust. After the Grantor dies, the income and/or property from the Trust is paid to the beneficiaries that are named in the Trust. Married Individual Revocable Trust - Specific Gifting: Similar to the Joint Revocable Trust with Specific Gifting, but this Trust is designed for use by a married person who wishes to establish a Trust that holds assets separate and apart from his or her spouse. 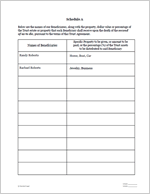 This Trust allows the Grantor to specifically name the Beneficiaries who will receive the Trust property after the death of the second spouse to die. This Trust also provides income and support for the Grantor and his or her spouse during their lifetimes. 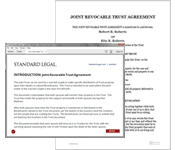 See the discussion within the overview documents for reasons to create a separate Trust. Once the type of Trust that best suits your personal situation is determined, you can begin to create the Living Trust documents by using the software title specific to that choice. If you purchased these legal forms as individual software titles, the total would be well in excess of $100. 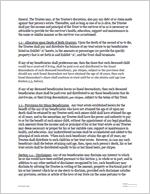 But by choosing the Standard Legal Living Trust package, you get all of these legal forms listed above, plus a thorough overview of Trusts and how to use them, for much, much less! After receiving my Living Trust software from you, it has made what I want to do with my properties so much easier, knowing the guidelines now. I live in a small town where we have more attorneys than businesses! But none of the attorneys could do my document work for me, saying they did not do "Trusts". I would have had to go to another town to get a Trust done, at a very high cost. 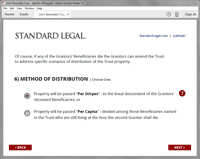 Once I found out about Standard Legal, I am now about a month away from putting my properties into a trust, as to my wishes. Thank you once again! I am quite pleased with the simplicity of the forms. I have generated the Living Trust and I am ready to go to the next step. The document format was exactly what I was looking for. I am pleased with the value of the Living Trust purchase and I would say that Standard Legal has met my needs. I set out to purchase the Suze Orman kit, but it was difficult to find so I explored further and found yours. Your kit appeared to be a better value than the Suze Orman kit. I downloaded your software for Living Trust about one month ago. I have been working with it ever since and am finally realizing I am going to be able to write our Trust without paying large lawyer fees. I am satisfied with what I bought. You guys are the best! What a proactive service. Keep up the great work. Have a Living Trust question?